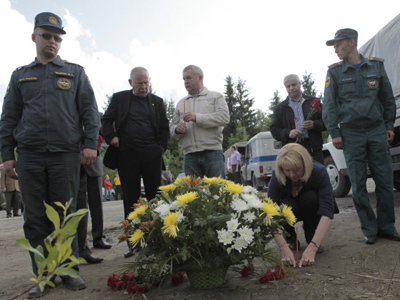 Yulia Skvortsova, who is the only surviving crew member of the Tupolev Tu-134, which crash landed in Russia's Republic Karelia last week killing 47 people, confirms that the accident was most likely due to pilot error and bad weather conditions. "It wasn't an arranged emergency landing, when passengers are warned, told to take their seats and check their safety belts. 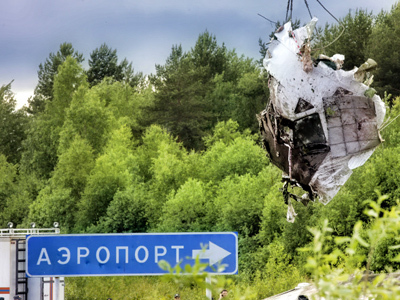 I myself realized what happen only after I saw the wing cut off a tree, and then another one," the 23-year-old told in an interview to LifeNews website. Skvortsova is still being treated at a Moscow hospital, but had been released from the intensive therapy unit on Monday. She believes that the ill-fated aircraft did not make a second landing approach, despite the bad weather, because the second pilot wanted to save fuel. Small airlines like the one which operated the crashed plane often fine pilots for overspending. The young woman was saved from being crushed by the falling debris by the backs of her chair and the one right in front of her, since they formed a sort of roof above her. "The belt pulled hard against my stomach, and I thought I wouldn't get out. But I managed to focus, threw away the debris and set off," she recalled. 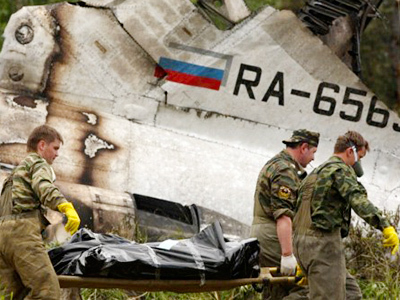 When the aircraft crashed, Skvortsova lost her shoes. "Walking was very painful, the floor was blazing hot. I came to a man, checked his pulse and discovered that he was dead. They I went to another one. He was also dead…" she said. The flight attendant fainted from the stress and horror and would have died too, if one of the local firefighters hadn't reached her in time to drag her out. The man, Ivan Ushakov, is one of the 15 people, mostly civilians, who have been awarded for their efforts in saving passengers’ lives. 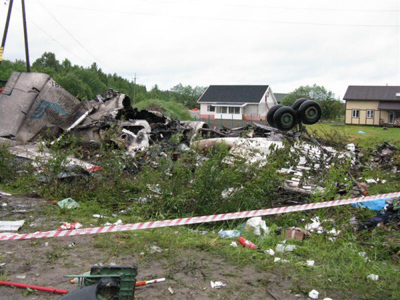 The Tu-134 with 52 people onboard crashed in Karelia around midnight on June 20 not far from the airport. Seven passengers and one crew member were rescued and taken to hospitals, but three of them died over the ensuing days due to severe burns and trauma. 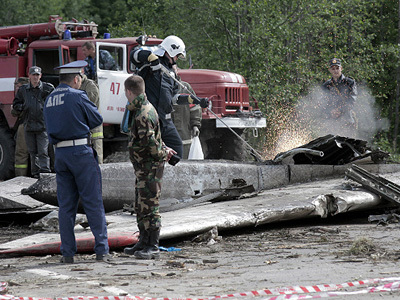 An investigation into the accident is still underway, but the most likely cause was pilot error, according to aviation experts and Russian officials. There was speculation that the flight’s navigator may have been drunk at the time of the incident, but officials deny this. Early reports also said that airport's landing lights were off, contributing to the crash, but it was later revealed that the outage, which lasted for about five seconds, was caused by the plane's cutting of a power line.